my head above water. All fine experience - just as the football season was - don't you think? Thanks very kindly for the shirts, underwear & socks. All are appreciated very much. 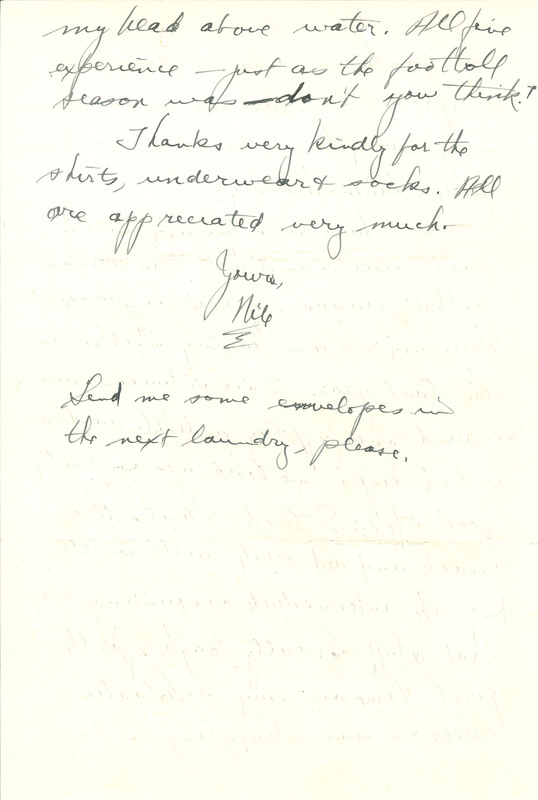 Yours, Nile Send me some envelopes in the next laundry, please.